As of 2016, Facebook is the most popular social network worldwide, with nearly 1.79 billion monthly active users. According to the Pew Research Center, over 62% of U.S. adults get news from social media, with 66% of Facebook users reporting that they use the site as a news source. Information on Facebook, both true and less-than-true, has a significant impact on everything, from politics to perceptions of science. There’s no avoiding it – Facebook is a significant part of the media that people consume on a daily basis. Many smart television stations have found ways to leverage the strengths of Facebook to supplement their programming. In particular, local stations are at the forefront of social media innovation. Salem Community Television (SCTV 17) in Salem, NH, is one of many stations that uses LiveShot with Facebook Live to bring community news directly to their audience. 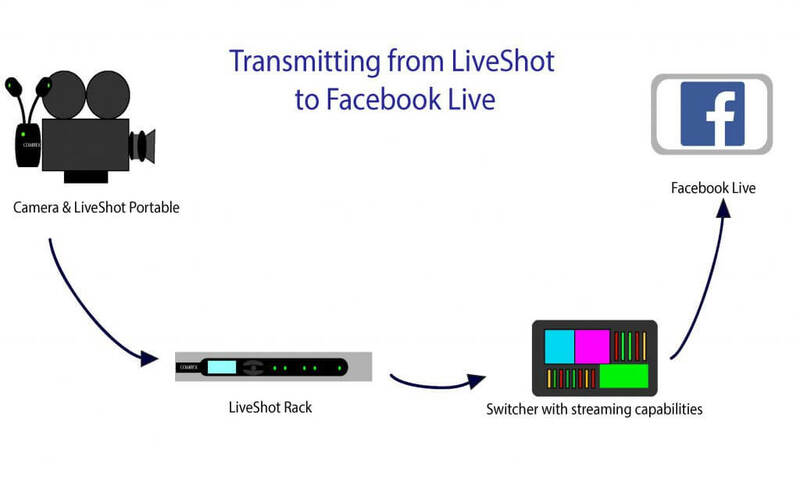 LiveShot provides greater network stability. When using Facebook Live from a cell phone, users can only make use of the phone’s signal to transmit. Sending broadcast quality video and audio over a single cell signal is impossible under most circumstances, and blurry visuals are not an option for most television stations. LiveShot can use multiple networks at once, providing more reliability in areas with compromised networks. SCTV 17 uses a similar setup to handle planned live broadcasts, like town hall meetings and other community events. For them, LiveShot is versatile enough to function as a high-quality video acquisition tool in both spontaneous contexts as well as situations they can prepare for. Audiences are spending more time on Facebook. Rather than abandoning those numbers and accepting a smaller viewership, Facebook Live presents an opportunity to meet viewers where they are. Using tools like LiveShot enables broadcasters to take advantage of this platform without sacrificing quality. Want to learn more about bonded cellular, SCTV, and how they use LiveShot? Download TV Technology’s Guide to Bonded Cellular ebook.